Most people plan an event with a specific theme in mind to create excitement about the upcoming event. 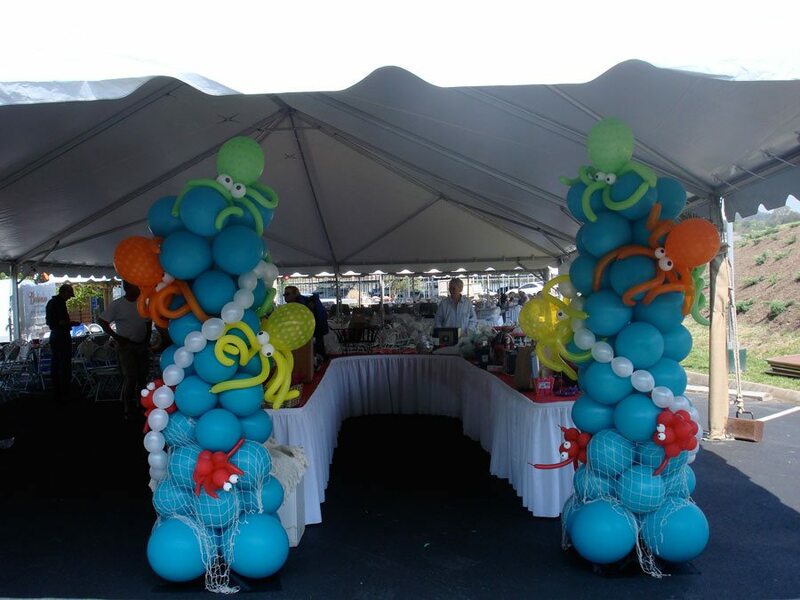 Themes vary as much as there are events, and so does the versatility of balloon and fabric decor. 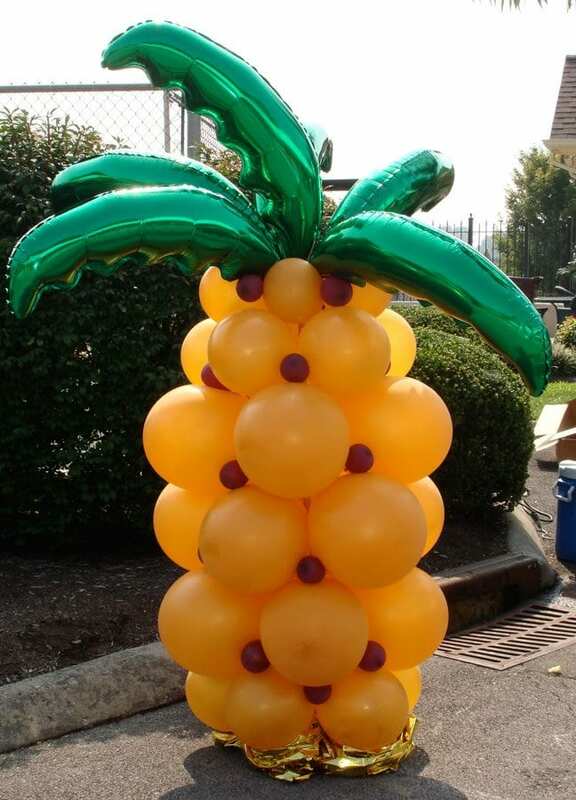 One advantage of theme balloon decor is how large it can be made. For instance, maybe you have a circus theme in a venue with a very high ceiling. We can create a clown sculpture to reach almost to the ceiling; or we can suspend colorful swags from the ceiling to create a big top feel. Yet, the decor remains economical when compared to other event decor mediums. 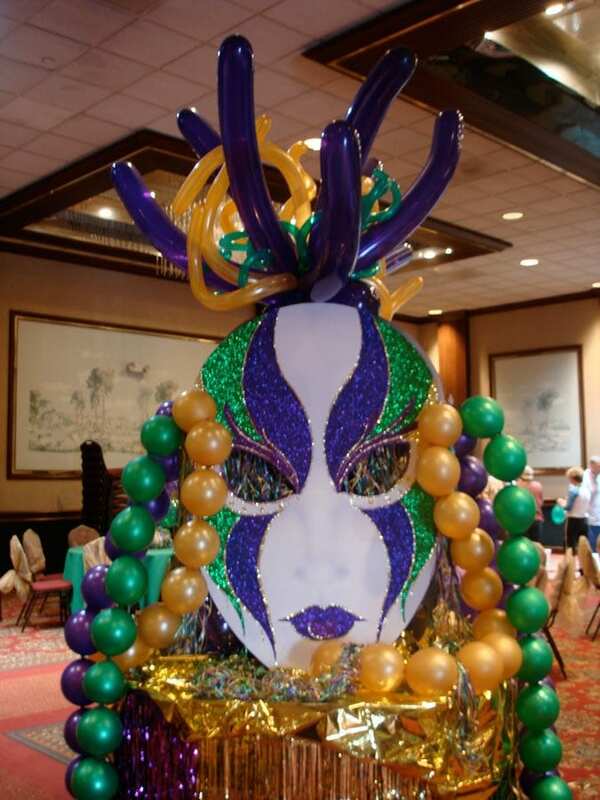 Some of the most popular themes are Luau, Hollywood, Casino, Mardi Gras, Beach, Fiesta/Mexican, New York/Broadway, Western, and Asian. We can easily create exciting decor for any of these themes and are very happy to create themed decor any theme you have in mind. This gallery is a glimpse at decor we have created. We invite you to look at other galleries too; then call us at (865) 719-8110 to see how we can best serve you. Just ask—you’ll probably be surprised what we can create for your theme with balloons, fabric and lighting! 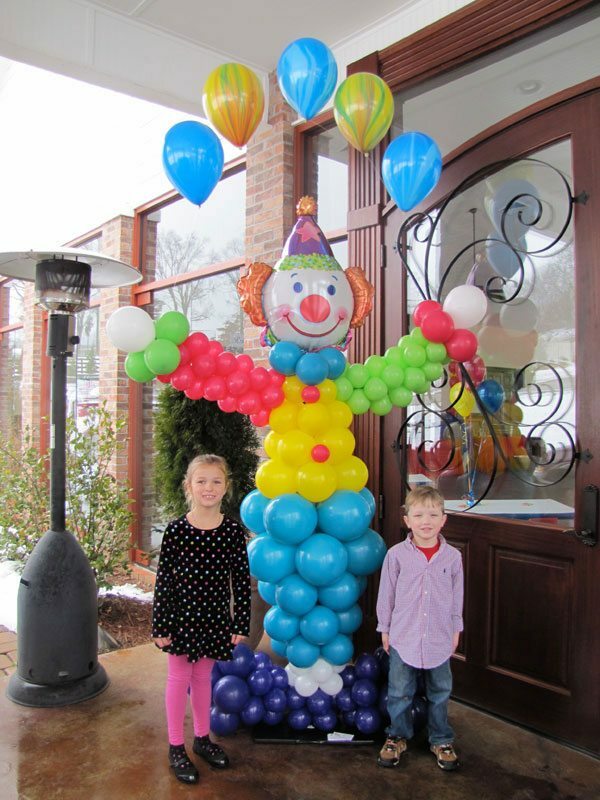 Circus theme for your party? We can create props for you! 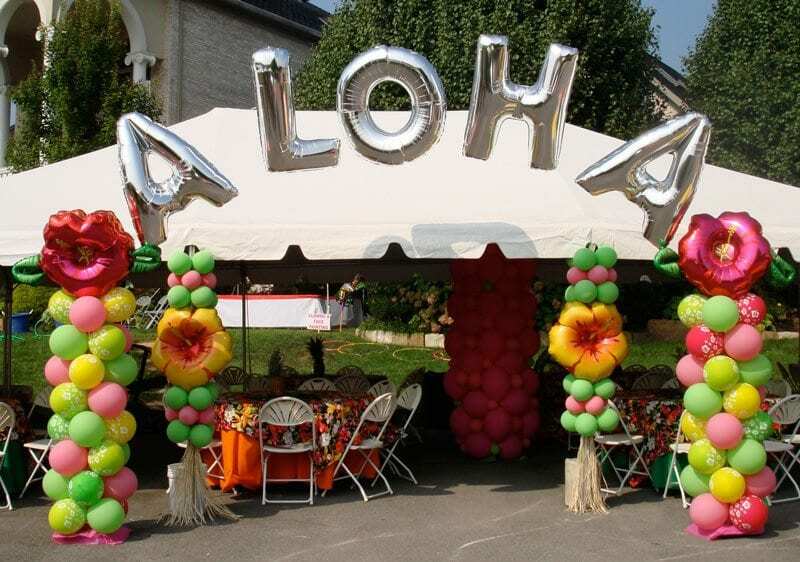 Luau anyone? A fun theme!